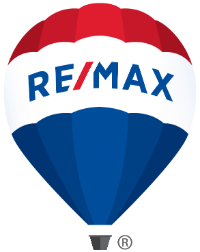 RE/MAX Partners is a full-service real estate brokerage firm located in the heart of Steamboat Springs. Our new office in Steamboat sits on scenic Fish Creek, in between town and the mountain. We have 40 years of worldwide branding behind us. Today, the RE/MAX network has nearly 90,000 agents and more than 6,000 offices in over 85 countries. Broker/Owners Kimberly Kreissig and Stephan Baden, both long-time area residents, have a combined 43 years of experience in real estate and in depth knowledge of the Steamboat and Routt County markets. Kreissig and Baden have a wide background of experience in residential and commercial real estate sales and investment property, including second home sales. Both have been involved in home construction and development and Kreissig and her husband also run a successful development/construction company. In addition, Kreissig has been awarded her Graduate Realtor Institute (GRI) designation and Certified Negotiation Expert (CNE). Baden holds a GRI designation, as well as, the Certified Residential Specialist (CRS) designation. 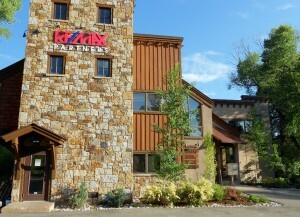 RE/MAX Partners is located in the beautiful Fish Creek Office Building, immediately off Highway 40 (Steamboat’s main thoroughfare). We are equi-distant from the base of Mt. Werner (our ski mountain) and Steamboat’s “Old Town”, the city’s historic downtown. We welcome you to stop by and visit!